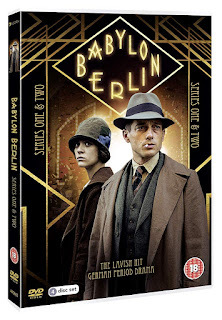 Love, Lies and Records is out on DVD on December 26th and to celebrate we have a great competition for you and 3 copies on DVD to give away courtesy of Acorn Media UK. 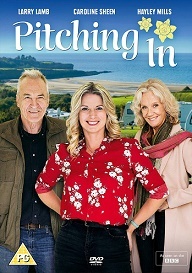 Written by Kay Mellor (The Syndicate, In the Club) and starring Ashley Jensen (Extras, Agatha Raisin) and Rebecca Front (War & Peace), contemporary BBC One drama LOVE, LIES & RECORDS follows Registrar Kate Dickinson as she tries to juggle her personal life with the daily dramas of births, marriages and deaths and the impact they have on her. After landing her dream promotion to the top job of Superintendent Registrar, Kate's finding herself increasingly torn by her demanding work and the endless responsibilities of being a modern working mum. 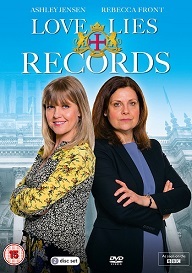 As if the daily dramas of births, marriages and deaths weren't enough to deal with, now a disgruntled colleague's threatening to expose a risqué secret from Kate's past that could jeopardise everything... LOVE, LIES & RECORDS has all the high drama, high stakes, twists and turns that audiences have come to expect from Kay Mellor.